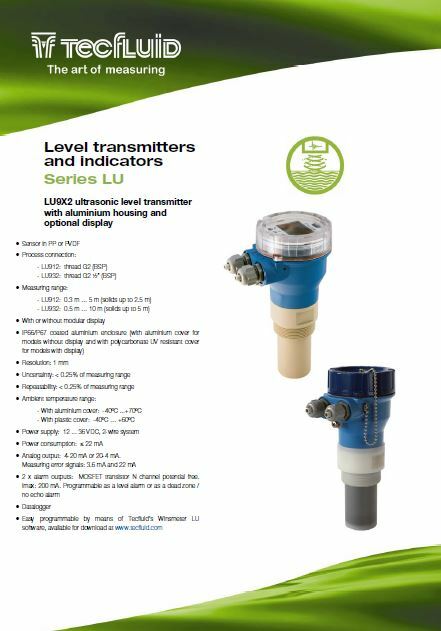 Level ultrasonic indicator / transmitter for liquids and solids. No contact with the product. High resistance to work in corrosive environments, outdoor…, easy display-keyboard programming and reduced consumption.